Please take a moment to review the updated Parking Information section in the Nexstar PDF for next weekend’s competition. We have a prepaid parking option from NexStar, along with more details on parking lot options around GWCC (thanks to Terri Lasoff for checking out the parking lot options and confirming their location/proximity to Building C). Click here to access the updated VPC/NexStar webpage where you can find the updated PDF document. The Vibe is selling our Recital Flower Bouquets and Trophies again this year! If you did not get a chance to place your order at the Studio this week, you still have a chance to take this “to do” off your checklist! 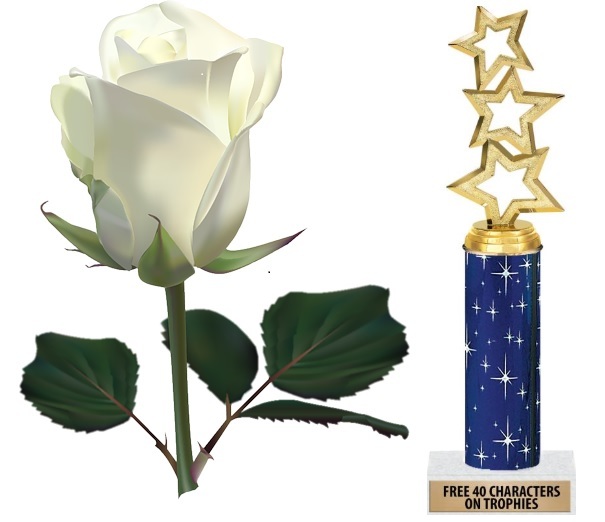 Simply go to the Vibe’s online store, place your order, and your flower bouquet or trophy will be waiting for you at the Trophy and Flower table in the lobby of the FootNotes recital venue (Infinite Energy Center) on Sunday, June 2 prior to the 2:00pm and 7:00pm show. You may purchase these items now through Friday, May 3, so get your order in today, so you have 1 less item on your “to do” list! 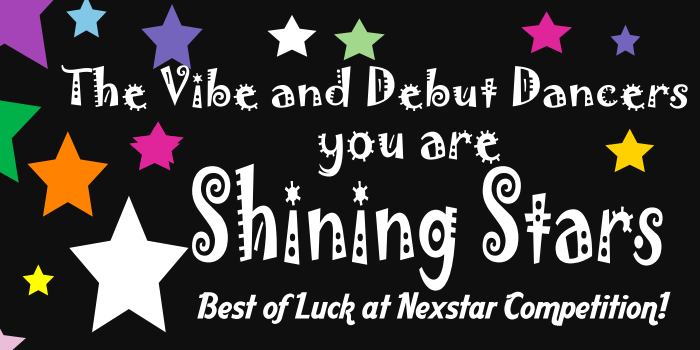 We are going to show our support for one another in the studio next week to get you pumped up for the NexStar competition! Each Big and Little sister will need to pick up a Star from the front desk this week. Some Elite dancers will be asked to pick up an additional star to decorate for a Debut dancer. Take the star home, cut it out and decorate it with your Big/Little/Debut dancer’s name, some fancy embellishments and write a note of support on the star. Keep all writing and decor on one side. Debut Dancers are only at the studio on Monday/Tuesday, so we ask that you have your stars completed by this Monday, April 22. Bring your decorated star to the studio next week, and you can hang it on the Shining Star Wall! Look for the banner in the hallway and tack your star up on the wall. We will have mounting tack for you. Make sure you show your Big/Little/Debut Sister where you hung her star and wish her good luck at NexStar! Here it is… All of the schedule and venue info you need for the NexStar National Talent Competition at the Georgia World Congress Center. Please click here to be directed to the password protected VPC/NexStar Talent 2019 web page. We will update the document as additional/updated information from NexStar is sent out. We will post a blog update with changes. Questions on the schedule or any information contained in the document: please contact us at footnotesdanceblog@gmail.com. Please SAVE THE DATE – Our Vibe End of Year Party date has been set! It will be held on Tuesday, May 28 from 5:30pm – 8:30pm at Nesbit Lakes Clubhouse/Pool. Details will be coming soon! The Solo, Duo, Trio Signup Genius still has slots available for dates in April. Click here to access it. Based on the schedule of remaining competitions, these are the only private slots that will be available between now and end of season. As a reminder, click here to review the March 28 blog post regarding details about FootNotes Picture Week details. This includes hair and make-up details, as well as the link to signup for solo/duo/trio pictures. If you ordered DVD(s) of the 2019 Showcase performances (Saturday and Sunday shows), they are available for pickup at the Studio. Please stop by the front desk at your earliest convenience. Please note that there is a tracking sheet that we would like for you to sign to track that you have received your DVD(s).